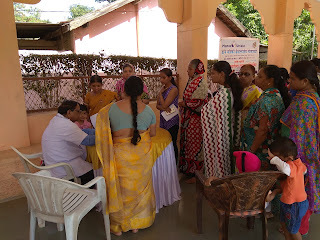 17-Jan-2018, Pune: The Don Bosco Development Society (DBDS), Pune organised a free health camp and medicine distribution camp in the Shanti Nagar slum in Yerawada (Pune). 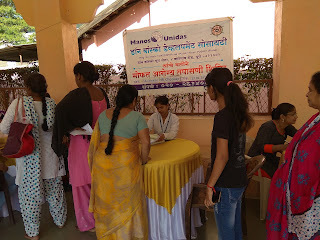 The health camp was held under the aegis of ‘Women Empowerment Project’ supported by Manos Unidas, Spain. 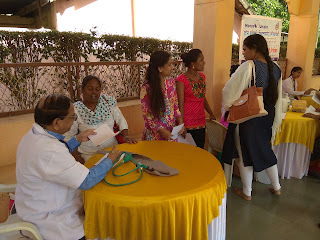 The health camp was held in association with Smile Foundation, Pune. The camp started at 10.00 am in morning. Mr. Nagsen Chavan (Coordinator- DBDS) welcomed the Medical team and Smile Foundation staff and explained about the health camp. 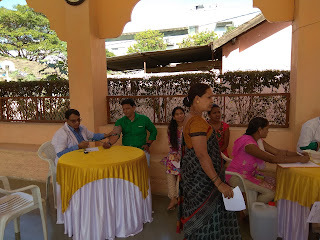 Dr. Mone (Gynaecologist), Mrs Pallavi Bansode (Lab Technician), Mr. Ganesh Gade (Pharmacist) examined the patients during the camp. Many women were found to be having low HB and Dr. Mone explained to the about importance on nutrition, nutrients and micro nutrients. 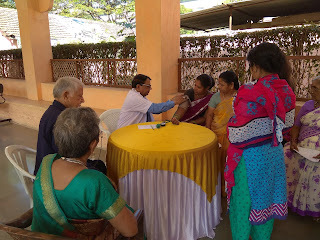 He also laid importance on the regular health check-up and health counselling of women in slum. 84 women benefited in this camp. 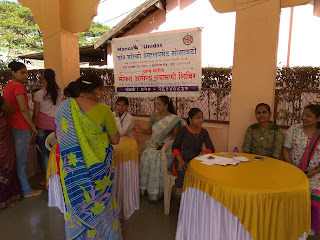 Mrs Priya Sonwane (Staff-DBDS) mobilized women to participate in this camp. 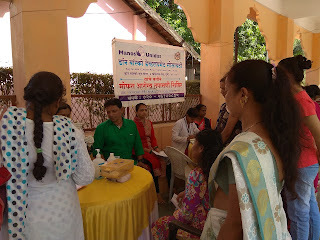 SHGs formed in the area participated actively in the health camp. The camp ended with the vote of thanks by Miss Nilima Chandhare (Trainer- DBDS).